Rooms with ocean views and spacious backyards for barbeques. Some of Cape Ann's finest artisans and unique shops. Locally, family-owned cottages with family heritage dating back to over 400 years. Three cottages to choose from for romantic getaways or large family vacations. Modern life is busy. People work hard and have less time to themselves. With this frenetic pace, finding a place to relax and get away is more important than ever. For this reason, there has never been a better time to consider rentals in Rockport, Massachusetts. Rockport is a quaint town, nestled along the coastline in northern Massachusetts. Situated on the tip of Cape Ann, Rockport has intimate ties to the water. Although the area was populated by native tribes originally, Rockport became a haven for summer homes after Europeans settled there. Since that time, Rockport has developed that identity, and even today it retains so much of the idyllic charm that attracted people centuries ago. Now the town is well developed for tourists and locals alike. When visiting Rockport, it is easy to get lost in the scenery, enjoying the water or the trees. The town itself is also appealing, featuring artisans and unique shopping. There are many rental properties and summer homes to consider. Many people like to consider a beach rental Rockport MA in order to soak up the laid back culture and revitalize their sense of self. When thinking about a beach rental Rockport MA, there are many options. However, there are few choices like Rockport Cottages. Rockport Cottages are owned by a local family, which has lived in Rockport for over 400 years. There are currently three Rockport Cottages to consider. The Cottage on the Pond is a charming two-bedroom property, which not only has ocean views but overlooks Mill Pond in the backyard. The Sound House is the quaintest option, with a cozy interior that has been freshly renovated. Families in particular are fond of the Cottage on the Lane with its spacious three bedrooms. Just consider the following perks of renting a Rockport Cottage. 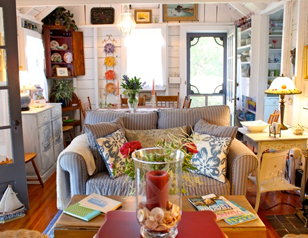 If daily life is hectic, trust a beach rental Rockport MA to ease those tensions away. The Rockport Cottages are the perfect choices, offering location, comfort and all the amenities needed to escape from the real world and simply enjoy life the way it should be enjoyed.